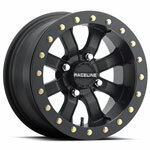 Elevate the style and stature of your machine with a Raceline A77 Black Mamba wheel. It features cutting edge technology with exquisite design. 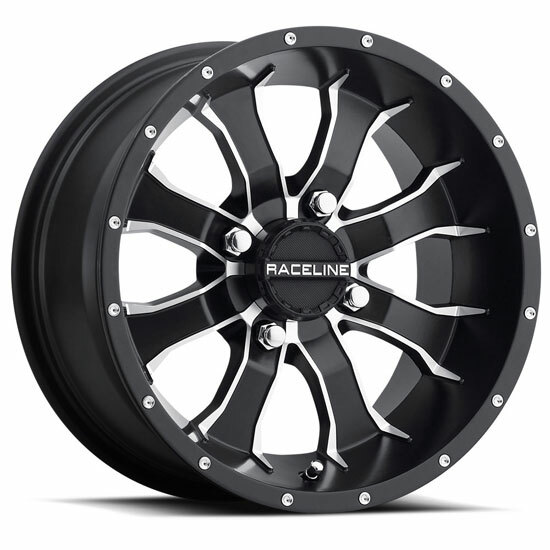 * The 5+2 offset wheel keeps the factory stance width and offset close to most Polaris OE specifications. The 5+2 offset is also recommended for Sportsman 550/850 XP machines, RZR 900 and RZR 1000 machines to keep the original factory stance width and same splash protection.